Ford’s Modular V10 engine has been in production since 1997. 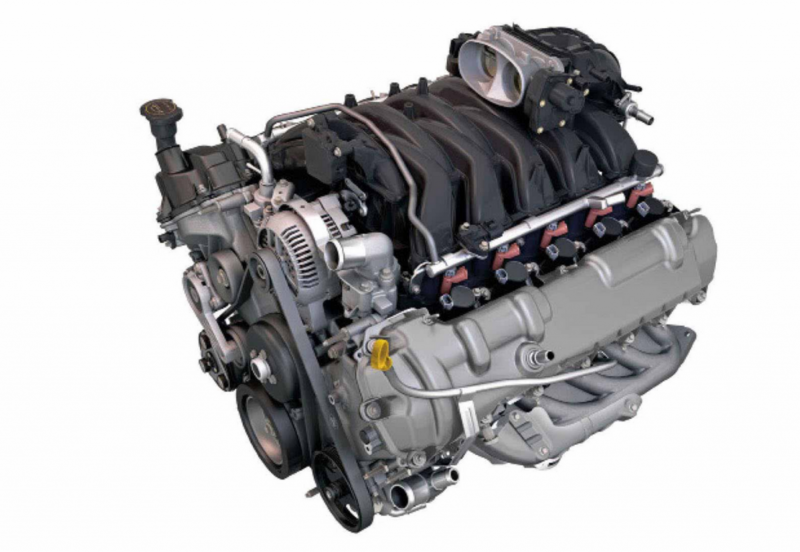 Car and truck engines are designed in a relatively small number of cylinder configurations. Inline 4-cylinder and V6 engines are easily the most common, with V8 mills coming in third in popularity. That said, BMW still makes use of inline 6-cylinder engines, and a few carmakers sell models equipped with inline 3- and 5-cylinder engines. And, the vaunted V12 can still be had, though only from luxury and performance brands. The fact that Volkswagen once equipped certain European-market cars with V5 engines is a story for another day. Especially rare among car and truck engines is the V10. Almost exclusively the purview of performance vehicles, V10s tend to used in low-volume applications. It’s worth noting that engineers typically aren’t huge fans of this configuration. The strange cylinder count works against smoothness, with primary imbalance being more pronounced than it is in V8s and V12s. Also, packaging can be an issue, as a V10 is necessarily longer than a V8. Blue Bird Vision school buses are available with a version of the Ford V10 converted to run on propane. Still, despite these drawbacks, V10 mills have found their way into Audi, BMW, Lamborghini, and Porsche products, as well as the recently discontinued Dodge Viper. There is one V10, however, that is almost never discussed by auto enthusiasts, and never saw duty in anything so glamorous as a Porsche Carrera GT or Lamborghini Huracan. If you haven’t been introduced, please meet the Ford 6.8-liter V10. Part of Ford’s Modular family of engines, the V10 saw use in a variety of applications, and is still in limited use today. 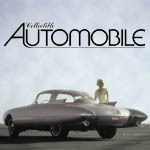 The Modular engines were designed to replace the maker’s lineup of familiar but aging overhead-valve V8s. To reduce assembly costs, the new engines were designed to share blocks and bore centers, and a number of other parts. The Modular engines featured single-overhead-cam valve actuation, 2-valve aluminum heads, and cast-iron blocks. Replacing Ford’s ubiquitous 5.0-liter (302-cubic-inch) V8 was a new 4.6-liter engine. Replacing the 5.8-liter (351-inch) V8 was a new 5.4-liter powerplant. The Modular engine family was marketed under the Triton banner, but Ford abandoned that name after 2010. Ford also needed a new engine to replace its dated 7.5-liter (460-inch) V8. Since it was designed to be compact, the Modular block lacked sufficient space between cylinders to allow for greater cylinder bore–and extending the stroke alone wouldn’t provide the sought-after displacement. Since Ford didn’t want to create a separate block or to be required to assemble the 7.5-liter replacement on a separate line, engineers chose to create a larger engine not by raising the displacement of Modular engine’s cylinders, but by increasing the cylinder count. Do a little math, and you’ll see that the 6.8-liter V10 is simply a Modular 5.4-liter V8 with two additional cylinders. 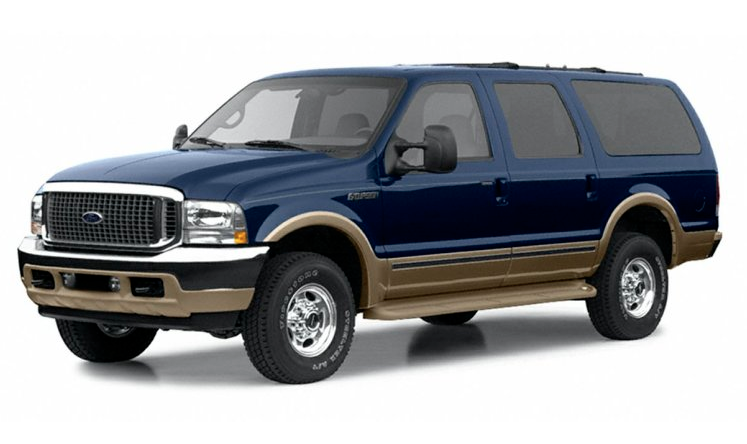 In the 2000-2005 Ford Excursion, the 6.8-liter V10 was good for 310 horsepower and 425 pound-feet of torque. The V10 was used primarily in applications where Ford truck customers might be looking for a gasoline alternative to a diesel. As such, the big mill was found in ¾ and 1-ton pickups, medium-duty vans, van cutaways, and chassis cabs. Between 1997 and 2004, the 6.8-liter V10 came exclusively with a 2-valve head layout. In the F-250, this configuration was rated at 310 horsepower and a solid 425 pound-feet of torque. Starting in 2005, a 3-valve variant was made available, raising peak horsepower to 362 and torque to 460 lb-ft in pickup applications. Two-valve versions of the V10 were produced after 2004, but were used only in medium-duty van cutaway applications. The V10 is still in use today, found primarily in medium-duty chassis cabs. A propane version of the 6.8-liter V10 is currently found in the Blue Bird Vision, a popular line of school buses. Excluding pickups, the only consumer application of the V10 was the 2000-2005 Ford Excursion, where it was offered as an alternative to the 7.3-liter diesel as a step up from the standard 5.4-liter V8. A relative bargain, the V10 added just $595 to the price of a 2005 Excursion, and brought with it an additional 55 horsepower and 75 pound-feet of torque. Total production volume for the Ford V10 is unavailable, but it seems reasonable that 750,000 to one million of the engines have been built over the last twenty years. That would make this oddball workhorse the most common V10 of all time–even though it is almost certainly the least-discussed V10. Written by: Tom Appel on February 5, 2018.on March 7, 2018. Big-Rig Style: What If Semi-Truck Makers Built Pickups?